Samsung has introduced its latest phablet, Galaxy Note 3, that comes with some amazing features, such as a leather battery case that makes it even more sophisticated. However, smart devices of this kind are very delicate and it needs to be protected, especially the large screen. This is what MyTrendyPhone recommends for your new Galaxy Note 3. 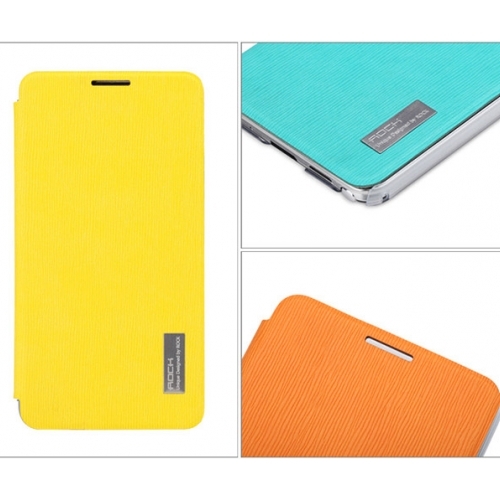 This case for Galaxy Note 3 brings you all in one – the protection and convenient use. The front flap cover has an implemented window that allows you to check all the notifications on your device, such as time, calls, messages, battery level and more- all without opening the cover. The manufacturer offers a unique and stylish look for your device. Apart from that, this Galaxy Note 3 case comes with another functional detail- it turns your phablet into a portable cinema. A foldable back cover allows you to watch your favorite videos and other media in landscape mode. 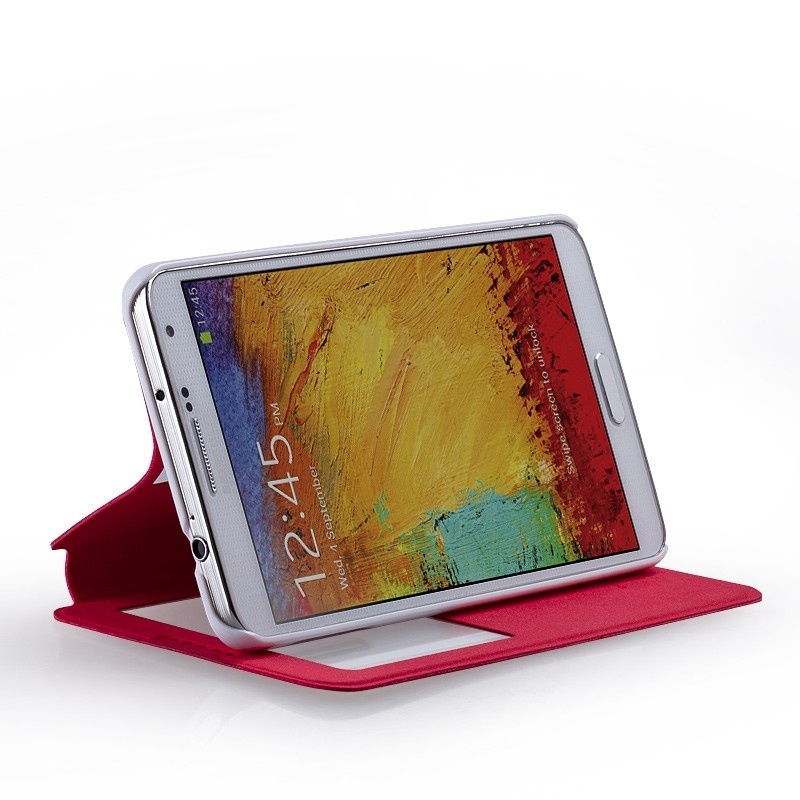 The Stand View case is available in several color options, but we find this red one very trendy! Rock is a manufacturer that like to keep up with the latest fashion, offering model specific cases for some of the most popular smartphones on the market. Their Galaxy Note 3 Flip case provides a reliable protection from accidental drops and scratches for your Samsung phablet device. The Rock case is easy to attach, and it comes with all precisely made cutouts, allowing you the access to all ports and functions of the phone. The interior of the case is padded with a soft lining and the exterior of the case is enhanced with a durable plastic for higher lever of protection. The back cover is transparent so it doesn’t conceal the beauty of your Samsung Galaxy device. We thought that orange Rock case will be a perfect combination with original lock-screen wallpaper on Galaxy Note 3. This entry was posted in Uncategorized and tagged Case, Cover, flip case, galaxy Note 3, Galaxy Note 3 accessories, Momax, phablet, Rock, Samsung, Stand, View case. Bookmark the permalink.